On this Thanksgiving weekend, we take a moment to offer our sincere thanks to CAN TV for hosting Chicago Newsroom over these past six-plus years. 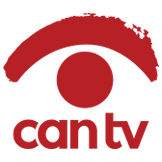 We also take a video peek at some of the brand-new CAN TV studios and facilities and talk with Director Barbara Popovic, who’s led the organization for nearly thirty years, and is retiring at the end of December. There’s an even greater need for public access media today than when CAN TV was first created at the dawn of the cable-TV era, she says. Ubiquitous hand-held devices make communication easy and fast, she explains, but the ability to tell story effectively is enhanced with the media training CAN TV offers. And access television is, as it has always been, a beautiful way for communities to share ideas and talk with one another about the issues of the day. 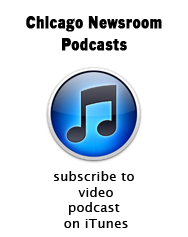 This entry was posted in Chicago Newsroom past shows and tagged Barbara Popovic, CAN TV. Bookmark the permalink.